I’m going to guide you today and show you what are the best GoPro accessories that are essential for you in order to take full advantage of this awesome action camera! 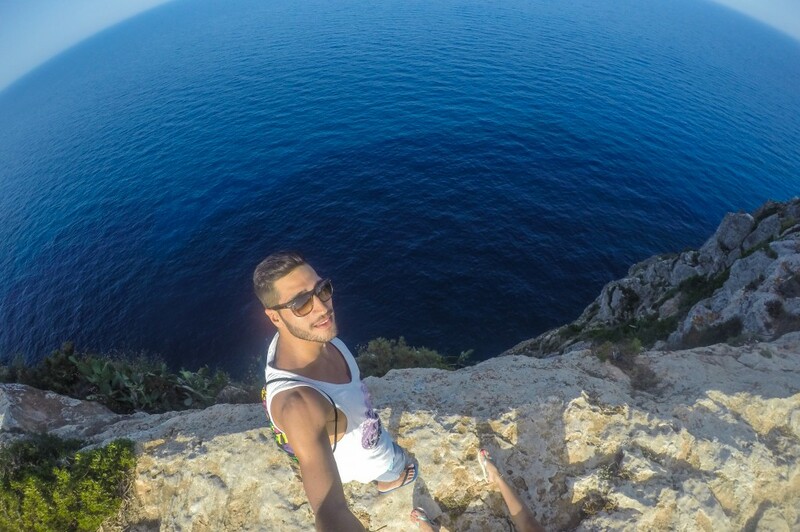 I will share with you my personal experience with the some of the 10 top GoPro Accessories. 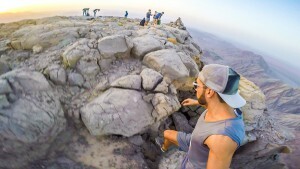 One of the most useful and best GoPro accessory, the chest harness offers a body mounting alternative to the head strap which can be sometimes uncomfortable, however with the Chesty you literally don’t feel that you are wearing a harness thanks to its nice design, it lets you wear the camera on your chest using a quick release buckle. This chest harness can give you great footage when you are cycling, kite surfing or even hiking and it is available for both kids (Chesty Junior) and adults (Chesty). I took this photo using a GoPro Hero4 Black attached to a chest harness. Photo was taken in SriLanka. Whether you want your camera fixed on your bicycle seatpost , ski poles or kitesurfing bars, this 3 way arm offers a 3 way adjust-ability to help you achieve the perfect angle for your footage, it fits around tubes with different sizes, you cannot go wrong with this one, it’s an essential part of you GoPro kit. if you are planning to shoot a time-lapse, night-lapse or any footage that requires stability then you will definitely need a tripod mount, it will give a good stable base for you GoPro. This kit includes a tripod mount that attaches to any tripod, a quick release mount and a lightweight mini tripod that attaches to your camera’s housing. it’s true that your gopro is waterproof but that doesn’t mean that it will not drown. 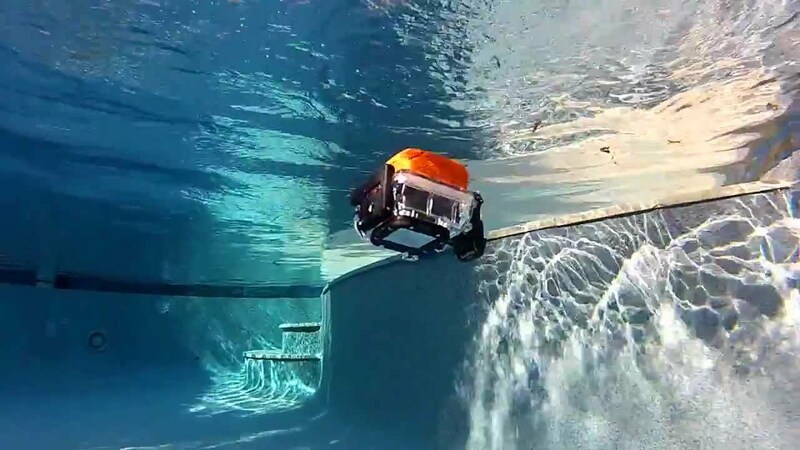 You don’t want to lose neither your camera nor the footage you recorded, that’s why it’s essential to use the GoPro Floaty Backdoor whenever you are engaged in deep water activities like surfing and snorkeling. The orange color will make it easy to spot. It comes with 2 backdoors, one for standard housing and one for dive housing. The Jaw Flex Clamp can be attached to literally everything you can imagine, the clamp can be attached on an object iwth a diameter that ranges between 0.25″ and 2″ (0.6cm to 5cm). 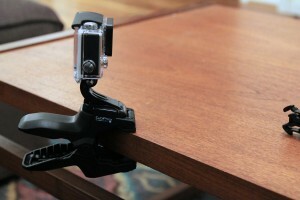 You can also attach your GoPro to the clamp using the low-profile mounting. You can use it on you bicycle, skateboard, practically anything! Ever heard of this device? well, it is AMAZING! 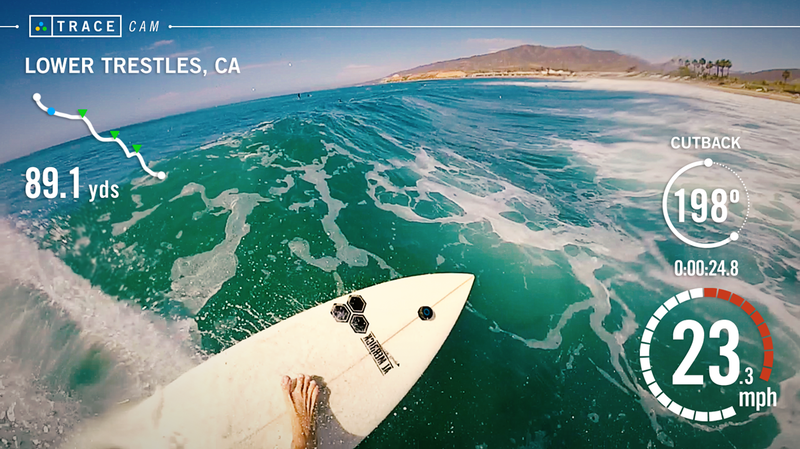 Launched recently in 2015, Trace takes your GoPro editing to the next level. Trace is a tracker device, it is a GPS sensor that traces your activity when you are surfing, snowboarding or skiing. Let’s say you are snowboarding, you attach the Trace device to your snowboard and it will records a lot of data like jumping distance, air time, air height, speed and the distance you traveled! And here’s the most epic thing, Trace can edit your GoPro footage based on the analysis to just the highlights! I use it when kitesurfing to record my speed and to edit my videos faster. This is a must have for all GoPro owners, very useful when traveling, I personally bring it with me to all my trips. It can be used for taking selfies and follow cam footage. It provides a good grip and gives you good stability when shooting videos, it also has a wrist strap for extra security. 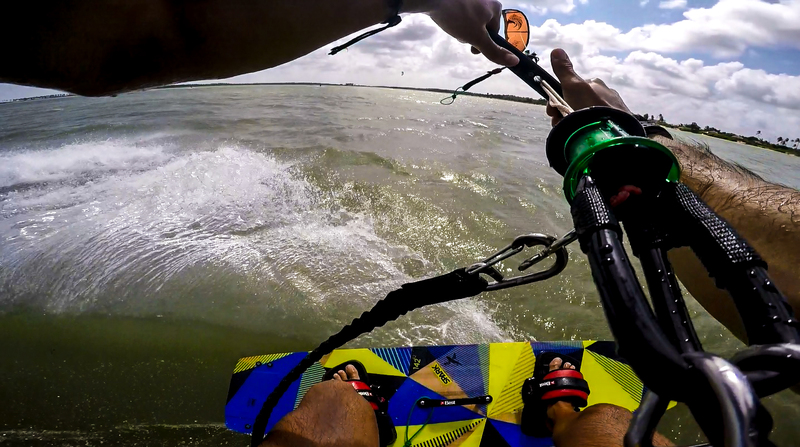 This handler can float your GoPro camera along with an LCD Touch Bac-Pac or Battery Bac-Pac, it’s suitable for watersports like kitesurfing and wakeboarding. Highly recommended! 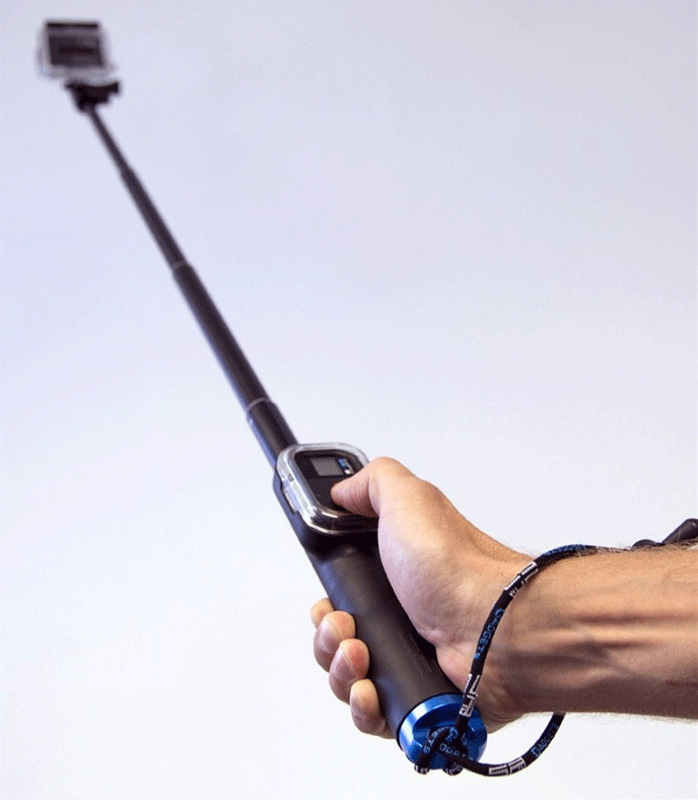 If you like taking selfies then you might want to check the POV pole from SP gadgets, it can extend up to 39 inches so you can really capt a wide angle with your GoPro. The good thing about this pole is that it has a place for your Wifi remote which makes it more easy to use especially when taking photos. 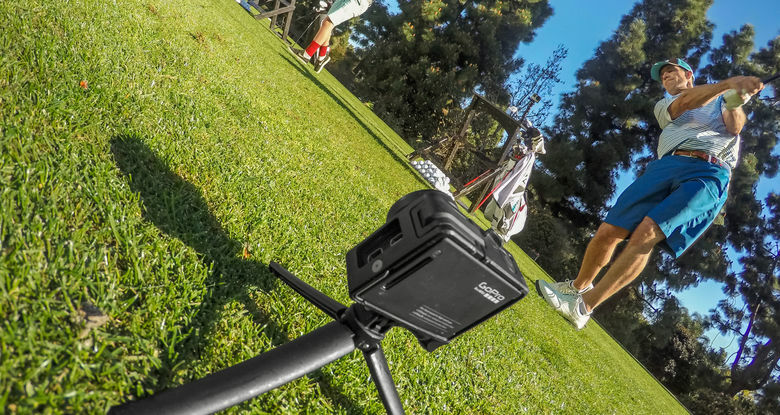 It has a 180 degrees swiuvel head camera mount and an adjustable wrist strap for security and it’s compatible with all GoPro cameras. How amazing would it be to have a dog’s-eye-view while he’s playing fetch, running and jumping? 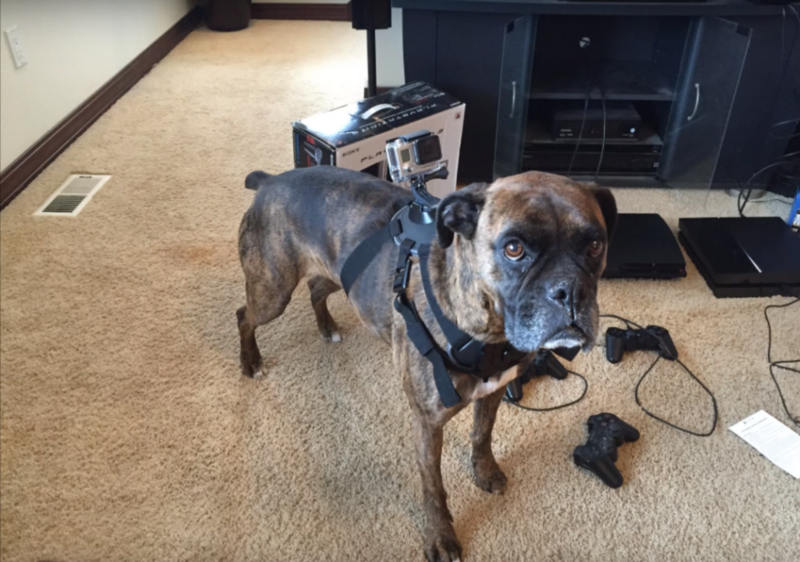 This what you will get with the GoPro Fetch Dog Harness. It has two mounting locations, so it can be attached on the back or on the chest of your dog. it’s soft and padded to keep your dog comfortable, it is washable so no need to worry about it getting wet or dirty. If you’re into technology then you must love drones, come on like who doesn’t! When I first got my first DJI Phantom, I kept flying the thing for like 2 weeks in a row! The DJI Phantom 2 is very easy to fly, you will be able to handle it quickly, it’s very stable and can help you get smooth footage. The communication distance is up to 1000m in open areas and the top speed is around 15m/s (altough DJI don’t recommend going full speed). The battery lasts for around 25 minutes and in case the signal between the drone and the controller is lost, it has an auto return home feature! 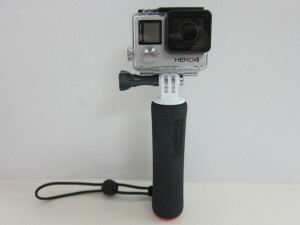 You will need to buy the GoPro mount called H4-3D so you could attach your camera. Each gadget seems to get better and better as I read each one, the one that got my attention was GoPro Jaws Flex Clamp Action Camera Mount – I think it super awesome. Would love to invest in one. Thank you for a great post. You’re right Uwais, There are awesome accessories out there! I also like the GoPro Jaws Flex Clamp Action Camera Mount since it can be used anywhere and everywhere. You’re welcome! I have the opportunity to buy a gopro hero 3+ , mint condition at a very good price. What attracts me most is it’s aux mic input that other model gopros don’t have. 1) Now even though it’s an older release, is is it up to par say for a YouTube cooking show? 2) Will most later accessories fit this model? I also checked out the “MicW iGoMic Mini Shotgun Kit”, which you suggested, pretty darn cool. First let me tell you that the Hero3+ is an awesome camera, it can take very high resolution videos as well (2.7K at 30 frames per second), will be perfect for your cooking show. I will create a review soon about it. 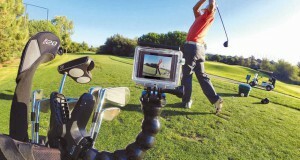 Yes the Hero3+ will fit most of the new accessories used by the new GoPro models. 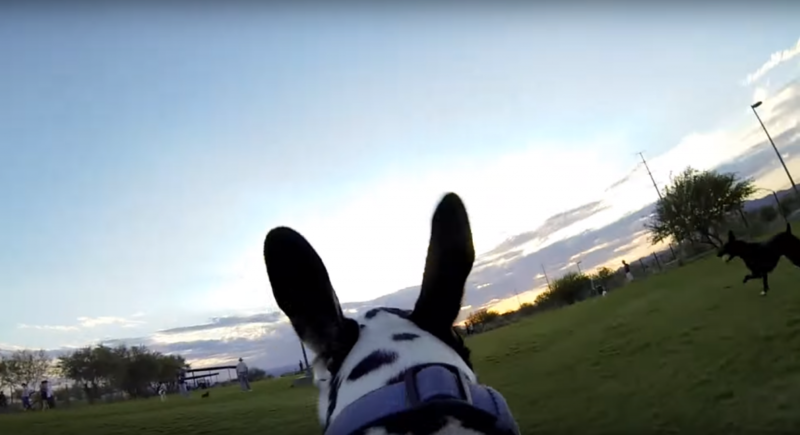 Great site, I particularly like GoPro Fetch Dog Harness piece. I didn’t know that something this sophistocated existed. It got me searching for more of these and I couldn’t easily find any. Will you be showing some other alternatives soon or even a comparison? I look forward to coming back here time and again. Hi Brendan, the Fetch Dog harness is only offered by GoPro, the camera can be attached at the back or at the chest of the dog. I’ve never seen any alternative or similar harness from another vendor. I’m presently looking into GoPro for youtube and other. Most of the recording I’ll be doing is stationary (inside). I need quality sound, and I’ve heard that the internal mic isn’t the best for quality audio. I’ll be recording from around 5 to 8 feet away, can you please suggest what external mic that’s not to pricey, and yet get a quality job done? Hi Joseph, I wouldn’t recommend you to record from 8 feet away since the GoPro has an ultra wide lens which will makes far away objects look small so you might need to keep a distance of max 4 feet. Also remember that you will need a tripod for stability. I can recommend the “MicW iGoMic Mini Shotgun Kit”, price is around 89$. I never knew that they have such varieties just for holding a GoPro. After reading your post, I come to love the DJI Phantom 2.
Who wouldn’t? You can take aerial photos just like you are flying. And it has auto return feature. But I guess the price is a bit steep? There is a lot more accessories! Well, who wouldn’t fall in love with the DJI Phantom 2, it’s indeed an amazing gadget. Price is a bit expensive (around 537$) but honestly it’s totally worth it. Hi Michel! 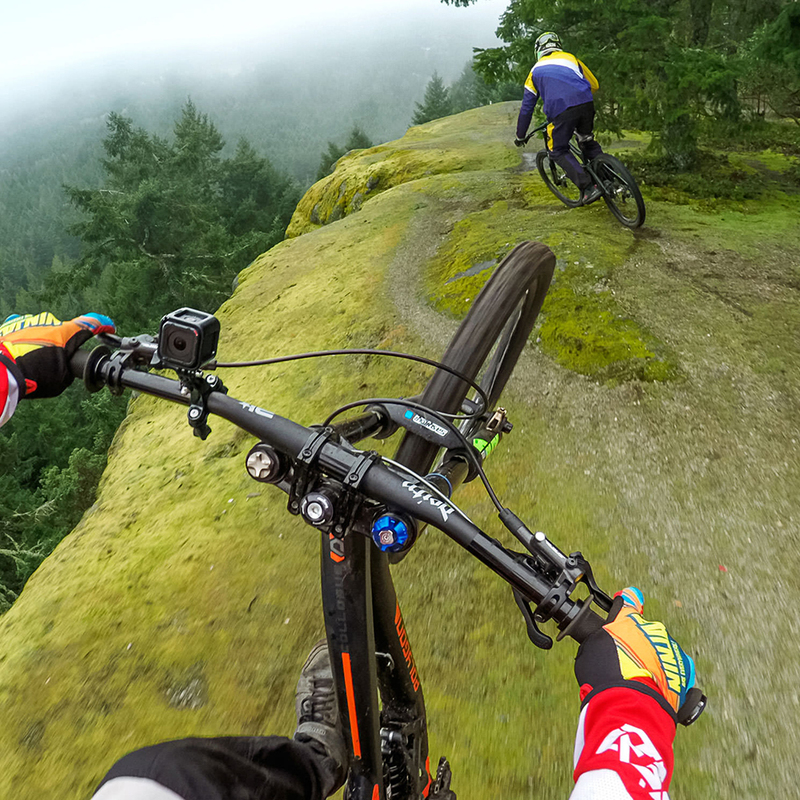 Exciting insights about GoPro Accessories here. Easy-to-read presentation with good sub-headings and para-after-para visuals. Wanna give a tip on where I can find such great visuals? I don’t think you’re done yet because I believe you wanna tell us where to get the accessories, right? Hi Stephen, 80% of the visuals were taken using my cameras. I will update the post soon from where to buy the accessories. Great article! very helpful, I just bought a GoPro Hero4 black and would like to buy some accessories, I think I now have plenty of information about what I need. One question though, would you recommend the chest harness or the head strap ? Hi Laura, the chest harness is attached to your body which means that it moves with your body movements unlike the head strap which moves when turning your head, I personally prefer the chest harness, first, because I prefer the lower shooting angle, second, I find the chest harness way more comfortable to wear. I hope I offered a good help! Looks like you know what you’re writing about. You just have to keep on putting more and more content. Everyday more and more content. This is what I’ve been told as well. So I guess it’s right. Thank you for your feedback Damir. You might need to check the website again in a few days, I’m adding a lot of informative content.